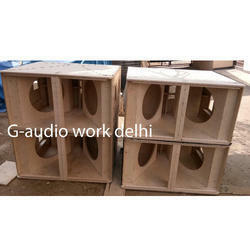 We offer our clients a premium range of Speaker Enclosure, manufactured by Leem, which is a leading name in this domain. Notable for their durability, these 8" 100W Active Speaker Systems are widely sought after by the clients across music industry including professional musicians and sound experts. You really love your car You want to create your own high fidelity sound system The Performance line, innovative and dynamic, will give you thrills! This advanced technology line with confirmed design was made to provide you thrills and adrenalin. Powerful and true to life sound excellence: live music in all of its dimensions. We have been counted amongst the most trusted names in this domain, engaged in providing Plastic Computer Speaker Enclosure . 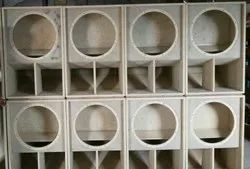 Since we have developed in this highly competitive industry, we are engrossed in offering a wide consignment of Woofer Box Enclosure. Made under the command of expert personal of the crew, these are highly required. Together with this, this is widely acclaimed owing to its precise finish. Dual 12 Line array system with 16gauge cnc perforated grill and black texture water based coating.